Reusable earplugs designed for sound quality for use by individuals with sensitivity to sound. 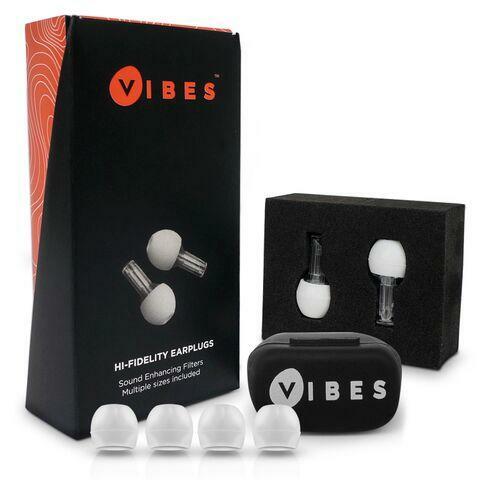 Vibes use acoustic filtering to lower the volume of the user's environment to a more comfortable level while still allowing them to hear everything around them clearly and interact socially. Includes: three sizes of soft, interchangeable ear tips to ensure a comfortable fit for different-sized ears, pocket-sized carrying case, and the option to include an attachable cord (not included) that allows the earplugs to be hung around the neck, preventing them from getting lost.